The hybrid living wall fits into the green theme popular today, is not entirely artificial, and adds quite a lot to any interior or exterior design. Living walls, vertical gardens, or green walls as they are called, create oxygen naturally, through the natural process of biofiltration. Biofiltration also eliminates toxic bacteria and fungi from the air. Most spaces in commercial buildings, including offices, lobbies, hotel rooms, and restaurants are loaded with chemical carcinogens that are in the carpet, furniture, paint and ventilation systems. The EPA has even declared indoor air pollution as one of the most serious health threats to workers that they are dealing with. The problem is that most people don’t even know how they are being affected by the unclean air in their environments. In the world of architecture and interior design, living walls are the hottest thing trending today. These fantastic vertical gardens are springing up in hotels, casinos, high end restaurants, museums, and office buildings from Los Angeles to New York. A whole new industry has sprung up to create and maintain living walls. Although living walls look fantastic and naturally clean the air, they are expensive to install and maintain. 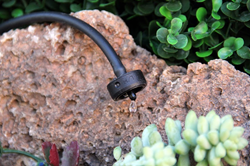 Many living walls have complex irrigation systems that require special care and maintenance. 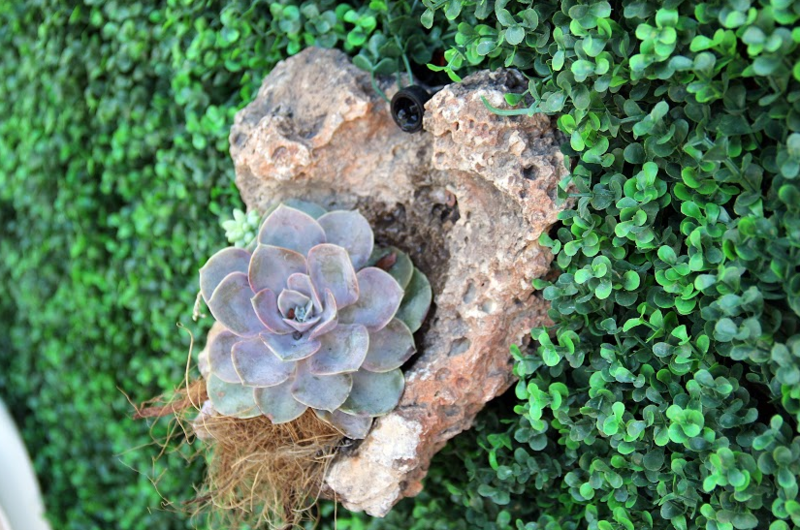 As the living wall industry grows, improvements and better systems of irrigation follow. Living walls, like any living plants or gardens, also require physical maintenance such as weeding and trimming. As living walls become popular, so do less expensive alternatives. A new product has been developed called the hybrid living wall. 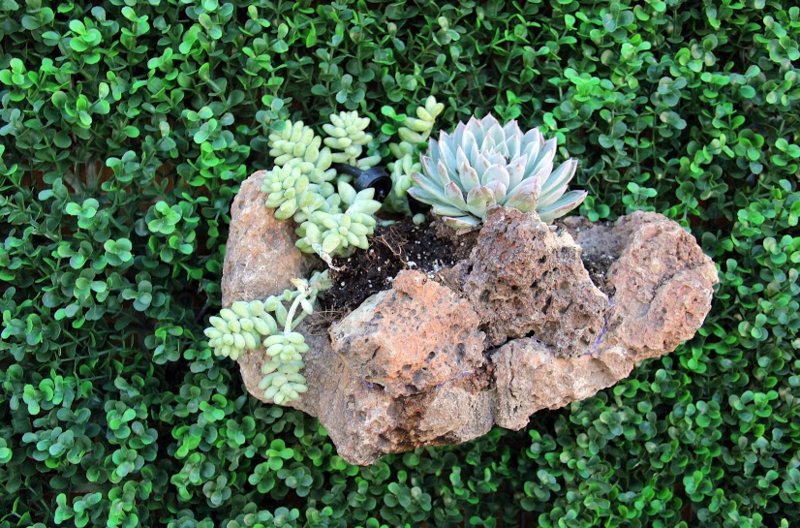 A hybrid living wall is constructed with artificial boxwood hedge and live California succulents. The hybrid living wall fits into the green theme popular today, is not entirely artificial, and adds quite a lot to any interior or exterior design.